First Bad Frame: Integer, Default: 5, Range: 2 or greater. The first bad frame to replace. Set Show:Bad Frame and scrub this param to help find the bad frame. Bad Frame Count: Integer, Default: 1, Range: 1 or greater. 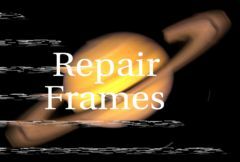 How many frames to repair, starting from First Bad Frame. Set to Result for normal operation, showing the clip with the repaired frames. Set to Bad Frame only to help find the bad frames; once you've found the frames of interest, return to Result. Result: Show the result clip, which is the source clip with the bad frames repaired. Bad Frame: Show the first bad frame, no matter where the play head currently is.